* Sophie Woods, 18, of Thames Road, Spalding. At Spalding, assaulted a police constable by beating. Community order made. Rehabilitation Activity Requirement. £85 victim surcharge. At the Pilgrim Hospital, Boston, assaulted three A&E staff nurses. Community orders made, as above in each case. * Janis Sedols, 32, of Robin Hoods Walk, Boston. At Boston, in Carlton Road, assaulted a police constable by beating. Community order made. Alcohol Abstinence Requirement. Rehabilitation Activity Requirement. £50 compensation. £85 victim surcharge. £85 costs. At Boston, in Carlton Road, was guilty, while drunk, of disorderly behaviour. No separate penalty. * Vladas Orsevskij, 42, of Aaron Way, Kirton. At Kirton, committed assault by beating. Discharged conditionally for two years. £20 victim surcharge. £85 costs. At Kirton, committed assault by beating. Discharged conditionally for two years. * Vaidas Pipiras, 31, of Leverett Road, Boston. At Boston, without good reason of lawful authority, had in a public place (Woad Farm Road) an article which had a blade or was sharply pointed, namely a large vegetable knife. Committed to prison for eight weeks, suspended for one year. £115 victim surcharge. £85 costs. * Lee Middleton, 48, of Frampton Place, Boston. At Boston, behaved in a manner whereby a breach of the peace had been committed. Bound over in the sum of £100 for six months to keep the peace. * Thomas Would, 26, of Horncastle Road, Boston. At Norfolk Street, Boston, damaged six panes of glass to a value unknown belonging to the Hospital Bridge Methodist Church intending to destroy or damage such property or being reckless as to whether such property would be destroyed or damaged. Discharged conditionally for 12 months. At Horncastle Road, on the same date, had in his possession a quantity of cannabis, a class B drug. Discharged conditionally for 12 months. £150 compensation. Cannabis resin to be forfeited and destroyed. * Ryus Noakes, 21, of Sydney Street, Boston. At Boston, in Market Place, were guilty, while drunk, of disorderly behaviour. £166 fine. £30 victim surcharge. £85 costs. Breach of a conditional discharge for an offence of violent behaviour at a police station. No action taken. * Sergej Kucenko, 40, of Fenside Road, Boston. At Boston, in Union Street, drove after consuming so much alcohol that the proportion of it in his breath equalled 61 microgrammes in 100 millilitres. Legal limit 35mcg. Committed to prison for 10 weeks, suspended for one year. Unpaid Work Requirement – 130 hours. £115 victim surcharge. £85 costs. Disqualified from driving for four years. Driving record endorsed. At Boston, in Union Street, drove while disqualified. Committed to prison for 10 weeks concurrently, suspended for one year. Unpaid Work Requirement – 130 hours. * Vladislavs Alabjevs, 36, of Ruston Way, Lincoln. At Hubberts Bridge, on the Boardsides, drove after consuming so much alcohol that the proportion of it in his breath equalled 87 microgrammes in 100 millilitres. Legal limit 35mcg. Committed to prison for 20 weeks. Victim surcharge £115. Disqualified from driving for five years, 91 days. Driving record endorsed. At Hubberts Bridge, drove while disqualified. Committed to prison for six weeks to run consecutively. Driving record endorsed. At Hubberts Bridge, on the Boardsides, failed to stop on being required to do so by a constable in uniform. No separate penalty. * Paulo Fernandes, 43, of Sleaford Road, Boston. At Boston, in High Street, drove after consuming so much alcohol that the proportion of it in his breath equalled 43 microgrammes in 100 millilitres. The legal limit is 35 mcg. £250 fine. £30 victim surchage. £85 costs. Disqualified from driving for one year. Driving record endorsed. * Leone Green, 46, of Trinity Street, Boston. At Boston, in London Road, drove without due care and attention. £200 fine. Victim surcharge £30. Costs £85. Driving record endorsed with six points. * Arturs Kondrovs, 20, of Carlton Road, Boston. At Boston, in Fydell Street, drove without insurance. £660 fine. £66 victim surcharge. Costs £85. Driving record endorsed with six points. * Billy Johnson, 23, of Chapel Hill Road, Chapel Hill. At Boston, on the A52 Swineshead Road, drove without insurance. £120 fine. £30 victim surcharge. £85 costs. Disqualified from driving for six months. Driving record endorsed (six penalty points determined). At Boston, on the A52 Swineshead Road, failed to stop on being required to do so by a constable in uniform. £80 fine. * Bartlomies Krasuski, 22, of Wormgate, Boston. At Boston, in Spalding Road, drove without a test certificate. £220 fine. £30 victim surcharge. £85 costs. * Marcin Stolarek, 40, of Orchard Grove, Boston. At Spalding, in Churchill Drive, drove without insurance. £660 fine. £66 victim surcharge. £85 costs. Driving record endorsed with six points. At Spalding, in Churchill Drive, drove otherwise than in accordance with a licence. £220 fine. Driving record endorsed. * Lloyd Cutter, 29, of Almond Close, Boston. At Boston, in Spilsby Road, drove while disqualified. £350 fine. £35 victim surcharge. £85 costs. Disqualified from driving for five months. Driving record endorsed. At Boston, in Spilsby Road, drove without insurance. No separate penalty. Driving record endorsed. * Caline Vasile, 52, of Freiston Road, Boston. At Lincoln, failed to give information relating to the identification of the driver of a vehicle when required. £660 fine. £66 victim surcharge. £85 costs. Driving record endorsed with six points. * Ionut Maradin, 23, of Hide Close, Boston. At Lincoln, failed to give information relating to the identification of the driver of a vehicle when required. £660 fine. £66 victim surcharge. £85 costs. Driving record endorsed with six points. * Jorge Pinto, 39, of Daisy Dale, Boston. At Boston, when suspected of having driven a vehicle, failed to provide a specimen of blood for a laboratory test in the course of an investigation into whether he had committed an offence. £300 fine. £30 victim surcharge. £85 costs. Disqualified from driving for 40 months. Driving record endorsed. * Alivaras Ignatenka, 27, of Windmill View Court, Boston. At Boston, when suspected of having driven a vehicle, failed to provide a specimen of breath for analysis in the course of an investigation into whether he had committed an offence. Community order made. Alcohol Abstinence Requirement. Rehabilitation Activity Requirement. Unpaid Work Requirement – 150 hours. £85 victim surcharge. £85 costs. Disqualified from driving for 12 months. Driving record endorsed. At Boston, on the same date, assaulted a constable by beating. Community order made, as above. Compensation £80. * Vladimirs Gusevs, 30, of Coniston Close, Brownsover, Rugby. 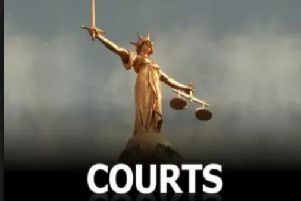 At Boston, in Lincoln Lane, when suspected of having driven a vehicle, failed to provide a specimen of breath for analysis in the course of an investigation into whether he had committed an offence. £120 fine. £30 victim surcharge. £85 costs. Disqualified from driving for 12 months. Driving record endorsed. * Lukasz Wilczkowski, 31, c/o Red Lion Street, Boston. At Boston, stole a diary to the value of £2 belonging to Scooby Doos. Discharged conditionally for 12 months. £85 costs. At Boston, stole electronic goods to the value of £29.95 from B&M. Discharged conditionally for 12 months. At Boston, damaged a door window to an unknown value intending to destroy or damage such property or being reckless as to whether such property would be destroyed or damaged. Discharged conditionally for 12 months. £100 compensation. * Lyndn Gilbert, 28, of Main Road, Stickney. At Boston, in Spilsby Road, without the consent of the owner, or other lawful authority, took a vehicle for the use of himself or another. Community order made. Unpaid Work Requirement. 100 hours. £85 victim surcharge. £85 costs. At Boston, in Spilsby Road, drove without insurance. No separate penalty. Driving record endorsed with six points.